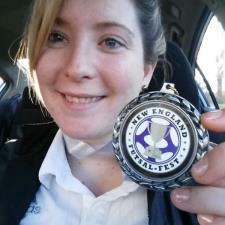 I am a licensed USSF coach and Massachusetts educator. I can help students in grades 5-8 in math, grades 5-12 in social sciences, and any age in soccer! I coach both kids and adults. I specialize in foot skills, ball striking, speed, agility, quickness, and goal keeping. Most recently, I have taught 6th and 7th grade math, but have experience teaching social studies, science, beginner Spanish, and PE. I have tutored for MCAS in 5th grade math. I completed my student teaching in high school history, and served in various substitute positions for middle school history. Clients tend to stay with me for several years (my longest running client I have seen grow from just the young age of 11 to 17!). 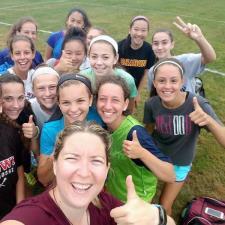 I am personable and genuinely care about the progress my students/players make. Please ask me about special rates! Hope to hear from you! Rate details: Rate can be flexible depending on family income and need. For two years I assisted math teachers in grades 6-8 and last year taught 7th grade math. I passed the MTEL and received my initial license in teaching Math grades 5-8. I have experience working with children in all subject matters through substitute teaching and part time tutoring with a company in Taunton, MA, including Elementary Math. After passing the Massachusetts Test for Educator Licensure (MTEL) in Social Studies Grades 5-12, I applied and received a Preliminary Teaching License for Social Studies Grades 5-12. Upon achieving this feat, I was accepted into the very exclusive Post-Baccalaureate Accelerated Program at Bridgewater State University in Secondary Education. During my spring semester of 2013, I completed the program's required practicum of 150 hours in a teaching position at Foxborough Regional Charter School as a Social Studies teacher in Spring 2013. I taught two sections of US History I at the 9th grade level developing my own lesson/unit plans, assessments, and classroom management style. Finally, after graduating from BSU's Post-Baccalaureate Program, I applied and obtained an Initial Massachusetts Teaching License in Social Studies Grades 5-12 in June 2013. 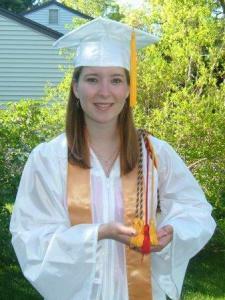 I graduated from UMass Lowell's history department with highest honors in a bachelor of arts program. Many of my classes focused on European studies including The Modern World, 20th Century Europe, Renaissance and Reformation Irish History, World Consumer History, and Inquisition in Medieval Times. I also participated in an honors panel and presented my research on Nazi propaganda geared towards children. I am also a licensed social studies teacher for grades 5-12 in the state of Massachusetts. My license enables me to teach all subjects related to the social sciences- which include European history. I have a B.A. from UMass Lowell in History and a minor in Political Science. I also have recently obtained a teaching license good in the state of Massachusetts for all Social Sciences grades 5-12 (history, psychology, politics, sociology, etc.). During my teaching practicum I student taught an American Government and Politics class as well. My main focuses are on constitutional law and public/social policy making. I taught several lessons while at Foxborough about these subjects with great success. I am also a licensed social studies teacher for grades 5-12 in the state of Massachusetts. My license enables me to teach all subjects related to the social sciences- which include world history. 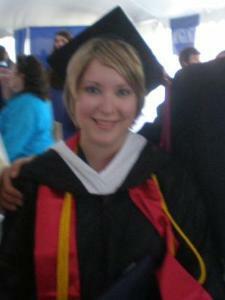 I graduated from UMass Lowell's history department with highest honors in a bachelor of arts program. For two years I assisted math teachers in grades 6-8 and last year taught 7th grade math. I passed the MTEL and received my initial license in teaching Math grades 5-8, including Algebra 1. For two years I assisted math teachers in grades 6-8 and last year taught 7th grade math. I passed the MTEL and received my initial license in teaching Math grades 5-8, including Geometry. For two years I assisted math teachers in grades 6-8 and last year taught 7th grade math. I passed the MTEL and received my initial license in teaching Math grades 5-8, including Prealgebra. I currently hold a USSF National D License. I have been coaching for 8 years in a variety of roles: club, volunteer youth, professional academy, high school to name a few. My athletes that I personally trained have had much success- ranging from youth National and State champions to collegiate Who's Who players of the NCAA. I tailor my training according to the athlete's ability and needs. My focus is technical and position specific training (including goal keepers). I guarantee your athlete will excel in the sport with my professional training. Sarah really gets how to work with kids. She teaches skills while making it fun. I have Sarah coaching my 2 boys (7 & 9) and they have made progress and are practicing the soccer moves they have learned. Sarah is reliable, flexible and provides verbal feedback right after the lesson and a full write up later that day. I highly recommend Sarah! Sarah helped our son learn soccer basics with encouragement and positive reinforcement. She is very patient and knows her skill well. 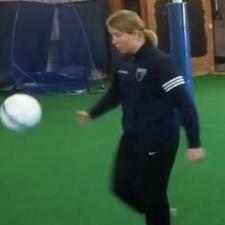 Sarah is a very knowledgeable and organized soccer tutor who quickly connected with our son. We’ve been impressed with her lesson efficiency, covering multiple skills and always including a few new skills every session. After each lesson, we receive a thorough and well written report within 24-hours which clearly explains what was covered, our son’s progress, and her plans for the next lesson. We couldn’t be happier with Sarah!